Visitors at The Big 5 Kuwait in 2014. The largest building and construction exhibition in Kuwait will return bigger next month (September 14 to 16) and with more to offer than ever before, according to the organisers. 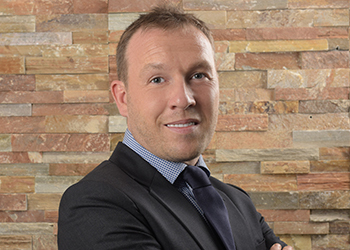 The third edition of The Big 5 Kuwait will showcase state-of-the-art solutions and products for the construction sector on increased exhibition space. It aims to open windows of opportunity within Kuwait’s resurgent construction market. “With $188 billion of projects currently under various stages of planning and construction, Kuwait’s construction sector is poised for significant growth. The demand for high-quality infrastructure along with upscale residential and commercial properties can be seen in several multi-billion-dollar projects including the $7-billion Kuwait Metro, $3.3-billion Kuwait International Airport, $2.6-billion Subiya Causeway, $15-billion Al Zour Refinery and the $6.2-billion highway construction programme. The event to be held at the Kuwait International Fair will be 40 per cent larger than last year with the addition of a hall dedicated to building interior products in response to requests from 41 per cent of the visitors to see more products of this segment, said dmg events Middle East and Asia, the organiser. Building interior products are in high demand in Kuwait with the combined value of the retail, interior and fit-out market standing at $31 million, it said. The new hall will be an exclusive showcase of products from the segments such as bathroom accessories, partitions, rubber, vinyl and carpet flooring, ceramics and porcelain, sanitary ware, showers and shower enclosures, fitted furniture, sinks and bath tubs, kitchen and bathroom furniture, taps, faucets and mixers, lighting, wall coverings, marble and stone, wooden, laminate and engineered flooring. Another highlight of the event is the 20-plus free-to-attend Continuing Professional Development (CPD) accredited workshops, which will be highly beneficial for architects, interior designers, consultants, procurement managers, contractors, real estate developers, engineers, and government sector personnel, the organiser said. Each workshop will be delivered by an industry specialist, who will share cutting-edge insight into an ever-evolving business landscape, drawing on real-world experience of the boardroom, it added. In addition, there will be an extended outdoor plant, machinery and vehicle (PMV) area. The Big 5 Kuwait ... networking opportunity. 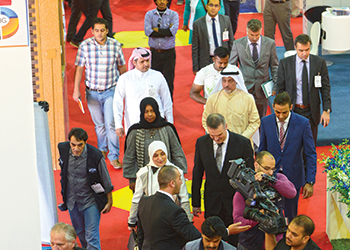 The Big 5 Kuwait 2015 will provide an ideal venue for regional and international manufacturers and distributors of related goods and services to showcase their products to the lucrative Kuwaiti market, while offering local buyers easy access to these new and innovative products, the organiser said. The products on display will include various categories such as coatings, adhesives and sealants, outdoor design and landscaping, concrete and related products, PMV and related products, construction tools, prefabricated buildings, electrical systems, safety and security, elevators and escalators, software and IT, facades, windows and doors, solar energy, facilities management products and services, fire detection and protection, steel, solar energy, water technology, HVAC (heating, ventilation and air-conditioning). The Big 5 Kuwait attracts visitors from Kuwait, Saudi Arabia, Bahrain and the UAE. 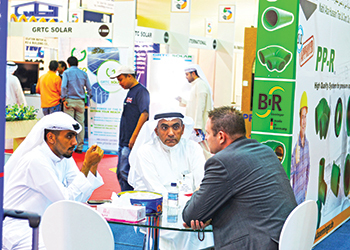 In 2014, it attracted more than 5,000 industry professionals, including architects, engineers, interior designers, contractors and developers looking to source products to service building and infrastructure projects during the exhibition’s three-day run.